Well-maintained trails for snowshoeing and cross-country skiing are right in Kennebunkport Maine’s back yard, at Lauholm Farm (Wells National Esuarine Research Preserve), and nearby Harris Farm in Dayton which provide rentals for their miles of groomed trails. Bordering the beautiful Kennebunk River, snowshoers and skiers can ski on Webhannet and Cape Arundel Golf Course when blanketed in snow. Downtown Kennebunk has a myriad of shops and restaurants, a bowling alley at Garden Street Bowl, and covered ice skating at The Waterhouse Pavillion a -public ice rink on Main Street. Back in Kennebunkport, you can ride in a horse drawn sleigh with a blanket and hot cocoa provided by the Rockin’ Horse Stables. 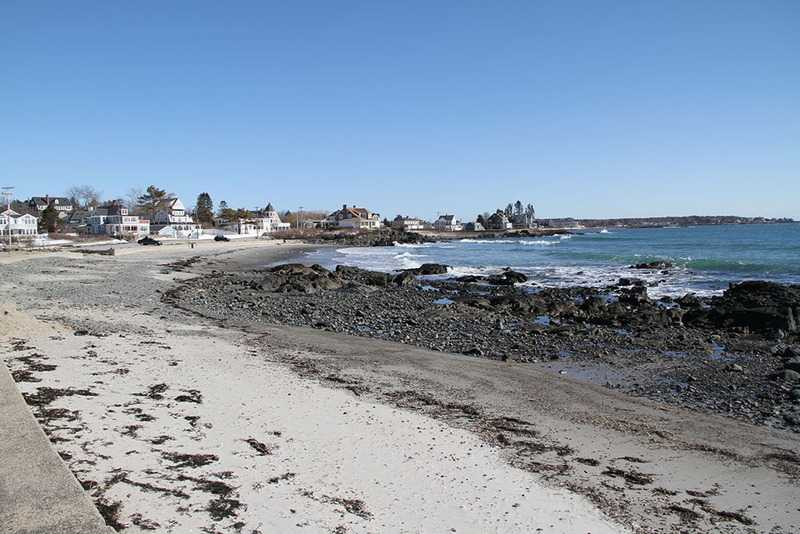 Consider a winter vacation in Kennebunkport! Staying at romantic BnB like Captain Lord Mansion, or a waterfront hotel – The Boathouse Waterfront Hotel, or Breakwater Inn and Spa, or stay right on the beach at Seaside Inn, or bring the kids are stay at family-friendly Rhumb Line Resort which has indoor pool, indoor and outdoor hot tubs!